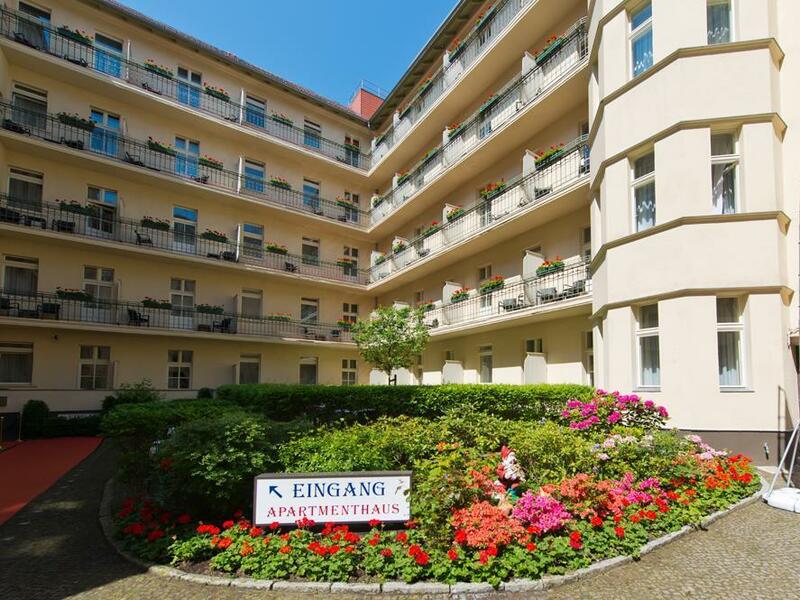 Have a question for Hotel & Apartments Zarenhof Berlin Prenzlauer Berg? "We attended a Crossfit competition at the arena next door so the location was perfect." "For those that want to stay in a neighborhood away from the touristy areas and right next to a main public transit spot, this hotel is perfect." "The room was just perfect." 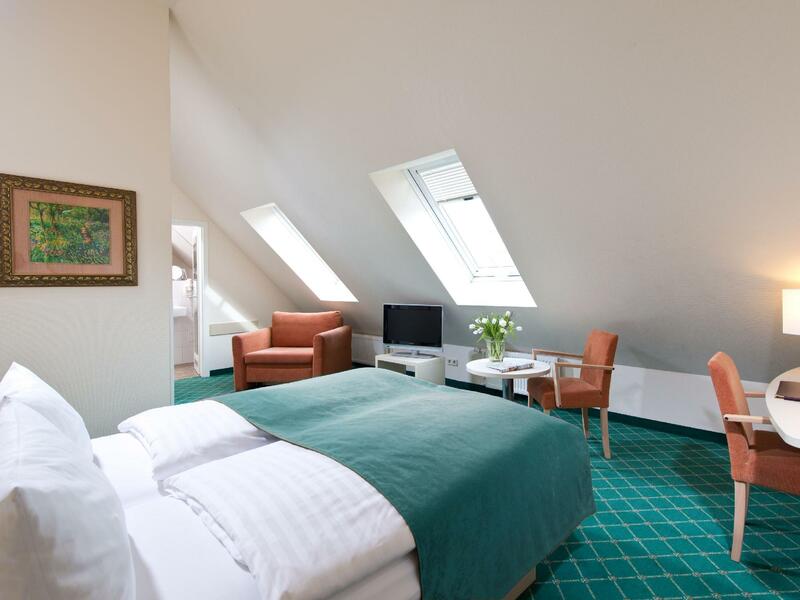 Built in 1911, Hotel & Apartments Zarenhof Berlin Prenzlauer Berg is a distinct addition to Berlin and a smart choice for travelers. Set 3.5 Km from the excitement of the city, this 4-star hotel commands an excellent location and provides access to the city's biggest attractions. For those of you who want to venture out, Max-Schmeling-Halle, KulturBrauerei, Berlin on Bike are just some of the attractions available to visitors. At Hotel & Apartments Zarenhof Berlin Prenzlauer Berg, the excellent service and superior facilities make for an unforgettable stay. A selection of top-class facilities such as free Wi-Fi in all rooms, 24-hour front desk, facilities for disabled guests, luggage storage, Wi-Fi in public areas can be enjoyed at the hotel. In addition, all guestrooms feature a variety of comforts. Many rooms even provide television LCD/plasma screen, internet access – wireless (complimentary), non smoking rooms, heating, wake-up service to please the most discerning guest. The hotel offers wonderful recreational facilities such as children's playground, garden to make your stay truly unforgettable. 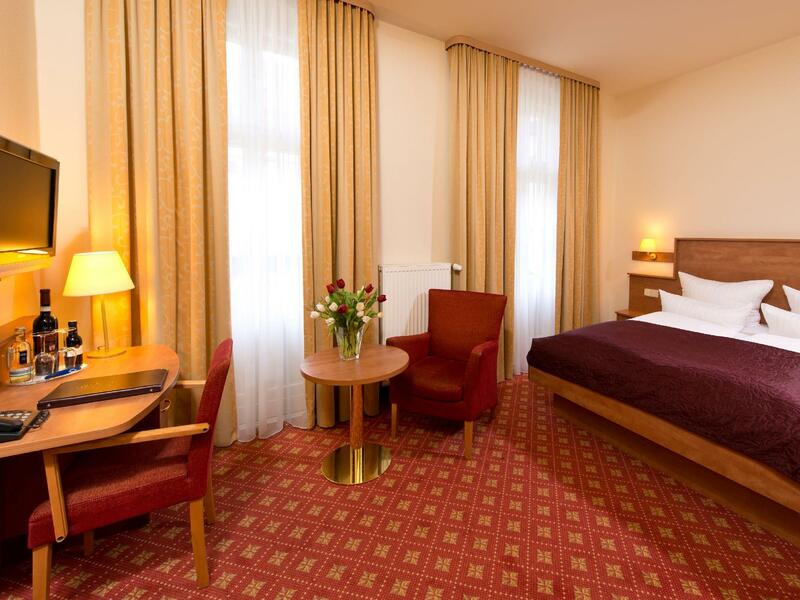 Hotel & Apartments Zarenhof Berlin Prenzlauer Berg is a smart choice for travelers to Berlin, offering a relaxed and hassle-free stay every time. "The hotel was well-situated, the room spacious and breakfast..."
An additional breakfast charge may apply for extra person using extra bed. We loved this place, hop off the train and your there. Staff were lovely, the hotel was first class. I would recommend this place just to go to the Zeit fur Brot cafe on the corner alone. Great location, in a pleasant and very well served area, clean and comfortable rooms, rich buffet and kind and friendly staff. We always come back to this hotel. Loved our stay here. Very close to the train station. The hotel was ok but a bit worn. The breakfast, staff and location were absolutely fine. But it was a bad stay because the hotel, without having informed it beforehand, had initiated a major renovation work. It meant access forbidden on our balcony and the windows should be closed during the daytime due to dust. There was hot and no air conditioning. The whole facade was covered by a large scaffold and people who worked, and you could say hello to them out of the window on the 4th floor. The garden yard was covered with wooden slabs. It looked good on the pictures with tables with white tablecloths for breakfast, but it was also useless. The hotel offered free breakfast or a 10 percent discount, which I think was too little. I complained both to the hotel manager and to Agoda who conveyed the hotel stay, but in vain. We chose free breakfast for after all to get a little compensation. Had the hotel informed about the renovation in advance, I had never booked it. I think it's a sneaky. This was the third time we have stayed at this hotel. It is conveniently placed for our needs and is reasonably priced. Our room was smaller than on previous occasions and because of the high outside temperature was a little claustrophobic. We asked several times for a fan as there is no AC in the hotel, but alas this was not provided. Regrettably on 2 nights there were large parties of people making considerable noise throughout the night and with the need to have windows and doors to the courtyard area which all rooms face this prevented any meaningful sleep. The hotel could have attempted to quell this for others who like a little less noise throughout their stay. We tried their breakfast for the first time and this was adequate 7/10. The waitresses were not over friendly it has to be said. Very good breakfast. I have stayed here twice and have two bookings in May. For those that want to stay in a neighborhood away from the touristy areas and right next to a main public transit spot, this hotel is perfect. There is a U2 stop across the street for easy access to the city, and there are a couple M lines (street car lines) a half block down to get you to the East Gallery, Berlin Wall Memorial and other areas. The Welcome Card provides unlimited rides. The rooms are set back from the busy street separated by a couple courtyards, so we didn't have any noise issues. There are also plenty of good cafes to grab breakfast (much cheaper than paying for it at the hotel), and great dinner spots within walking distance. There is also a large recommended beer garden a short walk away, which we didn't go to due our visit being during a colder time of year. Although we barely used it, it was also nice to have the mini fridge and microwave as part of the mini kitchenette. We attended a Crossfit competition at the arena next door so the location was perfect. Lots of restaurants around, public transport right outside. Great Sunday market not far. Lovely quiet hotel, clean and central to bars and restaurants. Really enjoyed our stay, the beds were really comfortable and the room was well equipped and being up in the top floor had 3 lovely roof windows. All in all very happy and would stay again. I went with my daughter to the Berlinale. Just one night. The room was just perfect. This hotel is in a great location. This hotel is close to trains and trams. The staff are well informed and the rooms are large and comfortable. The hotel was well-situated, the room spacious and breakfast good. Nothing to complain, we had nice holiday in Berlin! location is good, bang in the middle of Berlin's most favourite district. good restaurants and shopping options around. very helpful staff. 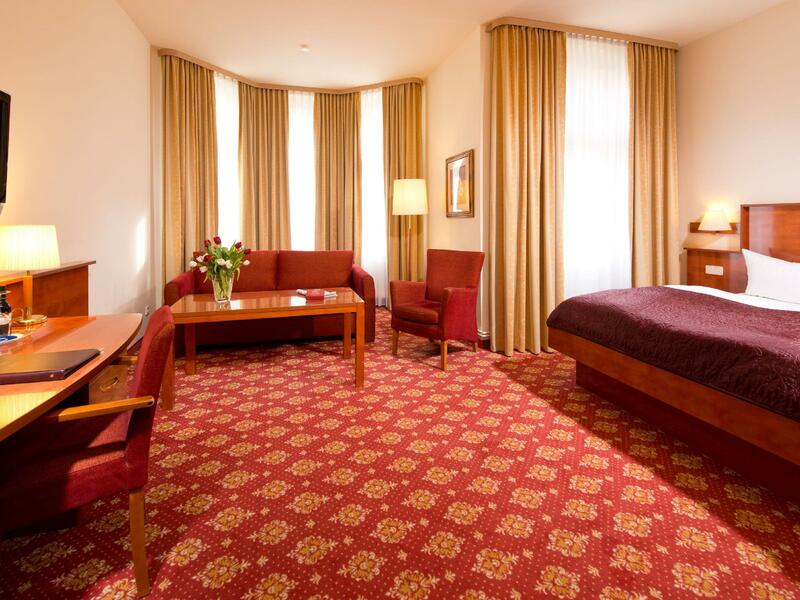 rooms are spacious with high ceilings and extra sofa bed. Situation, véritable wifi gratuit depuis les chambres, calme. Chambres situées sur cours (calme), en face du métro et du tram, très bon quartier à la fois familial et et animé, avec nombreux cafés et restaurants. A 10 min d'Alexanderplatz ou Hackeshermarkt. L'hotel lui-même est correct, simple et agréable. Les chambres ne sont pas grandes mais suffisantes. A noter que le lit est situé juste à côté de la porte, ce qui n'assure pas le plus de discrétion. Le personnel est plutôt sympathique. Nous ne sommes pas allés au restaurant de l'hôtel mais les odeurs qui s'en échappaient sentaient incroyablement bon. Ich bin für eine Nacht geblieben. Anreise um 20 Uhr, Abreise 8 Uhr nächster Tag. Die Zimmer waren sehr sauber und anständig eingerichtet. Kaputt war nichts und es gab sogar eine kleine Küchennische für Selbstversorgung. Aufgrund eines Sonderangebotes habe ich lediglich 52 Euro für die Nacht gezahlt. Bei dem Preis kann man überhaupt nichts falsch machen. Da das Hotel in einem Innenhof liegt, hört man nichts vom Verkehr. Ein großes Manko gibt es jedoch und das ist leider typisch für Berlin - einen Parkplatz zu finden ist beinahe unmöglich. Zumindest am Wochenende. Mit Glück ist am Nahegelegenen Sportplatz ein Parkplatz frei. Hier kostet das Parken pro Stunde zwischen 2 und 4 Euro - bei Sportevents ist Aufpreis. Dies war bei mir der Fall. Kein Weltuntergang, aber so steigt das vermeintliche Schnäppchen mit dem Zimmer. Trotzdem kann ich das Hotel sehr empfehlen. Das Frühstück sah sehr lecker aus, habe aber ohne Frühstück gebucht. Geschmacklich kann ich es daher nicht beurteilen.